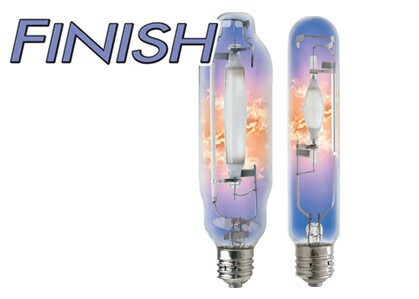 Sunmaster FINISH lamps are chemically enhanced to emit over 50% of their total visible radiation within the blue, violet and near-UV area of the spectrum. This lamp family is specifically designed to be used for the last few weeks of the growth cycle to enhance aromas and flavors. 3. Back empirical (integrated sphere measurements) with side-by-side testing, internally within Sunmaster’s grow chambers and externally through industry partners.